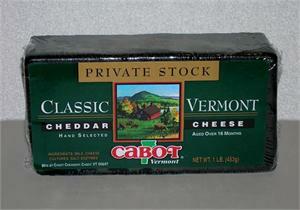 This is how Cabot Creamery, owned by dairy farmers since 1919, describes their Private Stock Cheddar. "It's not only age that separates our cheddars, but character as well. 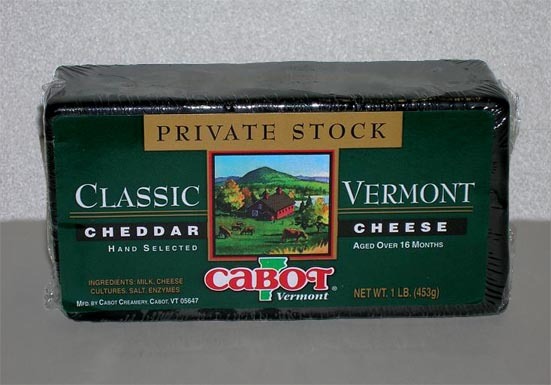 For Cabot Private Stock, we hand-select the cheeses with the smoothest texture and cleanest cheddar flavor, then gently age them for at least 16 to 18 months. The result is what some of our long-time customers call the ''best of the best''. Full-flavored yet elegantly refined, this is one of the most velvety, natural cheddars you'll ever experience. Simply the smoothest extra sharp around."